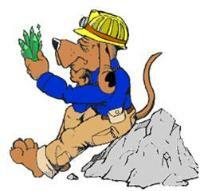 Rocky is here to help you find out more about rocks, minerals, gems, and various others treasures. Rocky is excited that Mr. Elsing has collected specimens from all around the globe for him and you to observe. The Elsing Museum is one of Rocky' s favorite places to explore. Come and visit the Elsing Museum at Oral Roberts University where you will be able to see and touch some amazing things! The Elsing Museum provides a valuable resource for school activities, Interest clubs, and all who desire to learn more about rocks, gems, or minerals. Guided tours are offered for groups as well as for individual visits. The displays in the museum serve as an excellent supplement for classroom studies in geology, earth science, and other related subjects. Group leaders are encouraged to call the museum office in order to receive more information about planning a special visit. 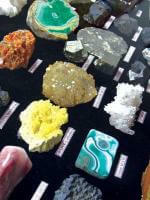 Are you eager to see some amazing rocks, gems, minerals, and other rare treasures? Well then prepare to discover a spectacular collection at the Oral Roberts University's Elsing Museum. Part of our collection contains minerals and rocks that were found in the Tri-State Mines. These mines are now closed, which makes visiting this museum an "once-in-a-lifetime" opportunity.